Notre-Dame Cathedral went up in flames on Monday in a massive blaze that devastated the Parisian landmark, one of France’s most visited sites. 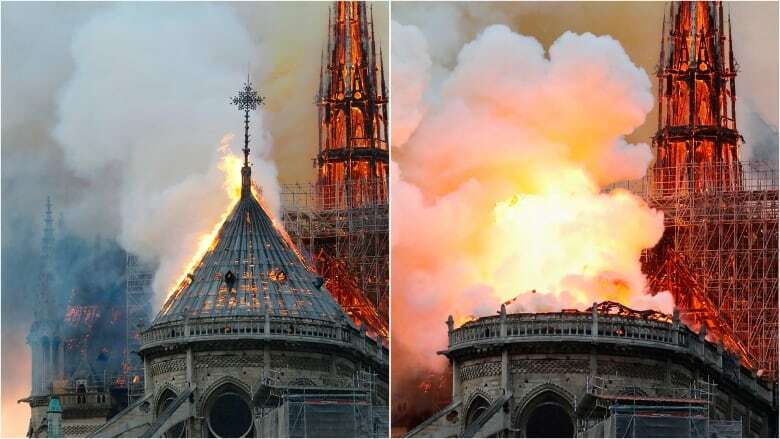 Flames that began in the early evening burst quickly through the roof of the centuries-old cathedral and engulfed the spire, which collapsed, followed by the entire roof. “Basically the whole rooftop is gone. 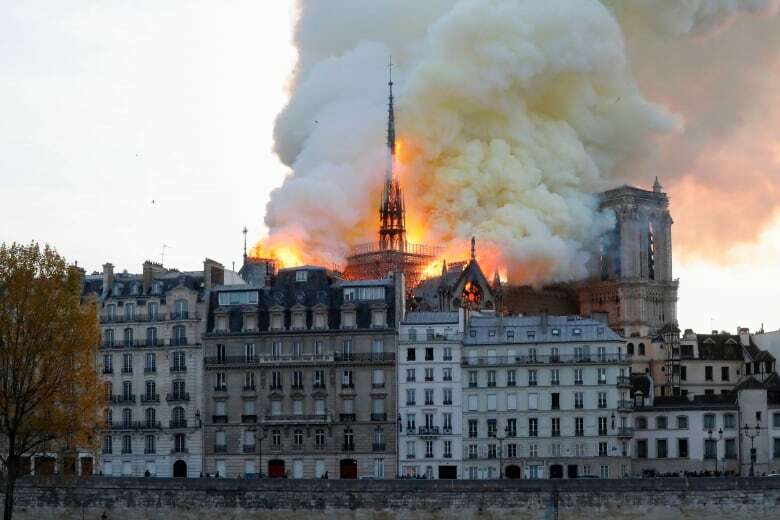 I see no hope for the building,” said witness Jacek Poltorak, watching the fire from a fifth-floor balcony two blocks from the southern facade of the cathedral. It wasn’t immediately clear what had caused the fire. France 2 television reported that police were treating the incident as an accident. A major operation was under way, the fire department said, while a city hall spokesperson said on Twitter that the area was being cleared. The Paris Prosecutor’s Office said it has started an inquiry into the fire.